​From the dark and gloomy archives…HE has been exhumed! Originally sculpted in 1991 and produced under the Necronomi-Concepts banner (my former company) this creepy character is now available again after many years absence. 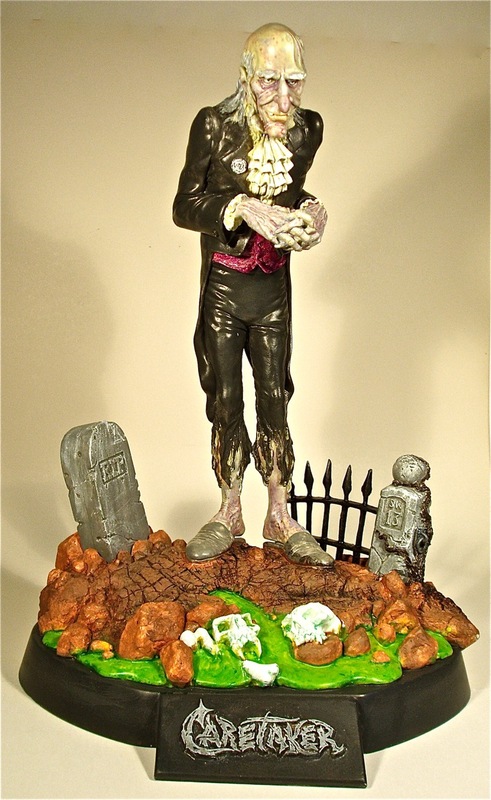 To celebrate his return he is presented as shown here with a newly sculpted cemetery base which includes a marker stone, a twisted iron fence section and a sub-base with nameplate.The figure, hands and gravestone are unchanged and are shown as they were presented originally. 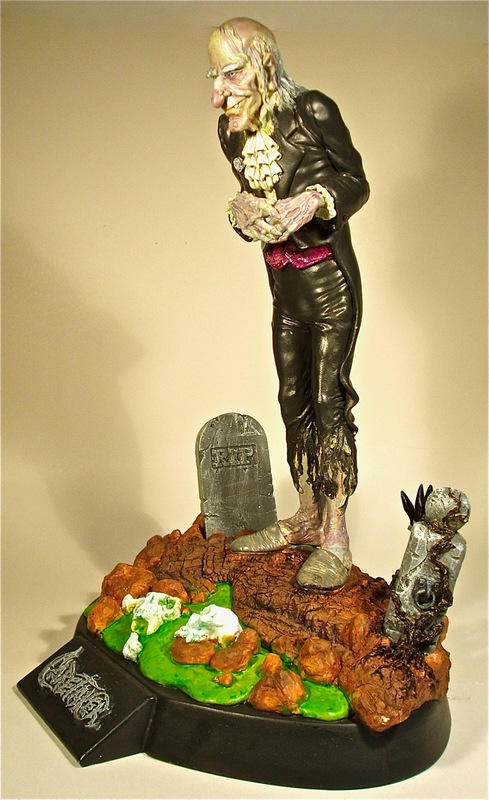 The Caretaker is in 1/8 scale and mounted on the base measures approximately 11 1/2” tall. Finely cast in 5 solid white resin parts and also a 1 piece white metal casting for his hands. This is an adult oriented model kit which comes unpainted and will need to be assembled using a CA super-glue or 5-minute epoxy glue. Not recommended for children. For international shipments, or if you'd like to add shipping confirmation or insurance to your order, please contact me prior to placing an order. I remember originally making the resin hands. So glad we ended up doing them in white metal. Excelent job by THE best sculptor in the industry.